Our students come from a diverse range of backgrounds, practically-based and academic. Some of our students are self-employed, some are employed by private-sector companies of various sizes, and others are employed in the public-sector. A few of our students left school at the earliest opportunity and have found our courses an ideal and accessible way to obtain a meaningful and respected higher-level paper qualification, and a springboard to new employment opportunities. 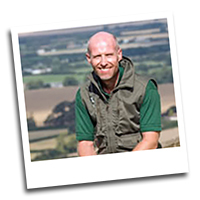 "I picked up this competitive job as a result of the knowledge and skills acquired through the Inventory, Assessment and Monitoring and Research Methods modules (on the MSc Forestry - Distance Learning course). Our first Commonwealth Scholarship Commission (CSC) scholar to complete MSc Forestry by Distance Learning. Grace lives in Zambia, from where she has completed the entire course, except for the Tropical Forestry Summer school that she attended in Tanzania in 2012. She completed her dissertation with the World Agroforestry Centre (ICRAF), with whom SENRGy has very close links. 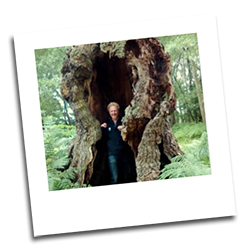 "I have a life-long interest in trees and woods but when I took on responsibility for stewardship the family’s woods in Herefordshire I realised I knew little about the practical process of woodland management, so I enrolled on the Forestry MSc distance learning course at Bangor. Distance learning can be a bit of a struggle when you have a full time job, but the course structure, reading materials and process of continuous evaluation made it very manageable.